Ashtanga Yoga is an intense form of Yoga, guided by a dynamic Udjai breath linked with the constant use of the Bandhas. 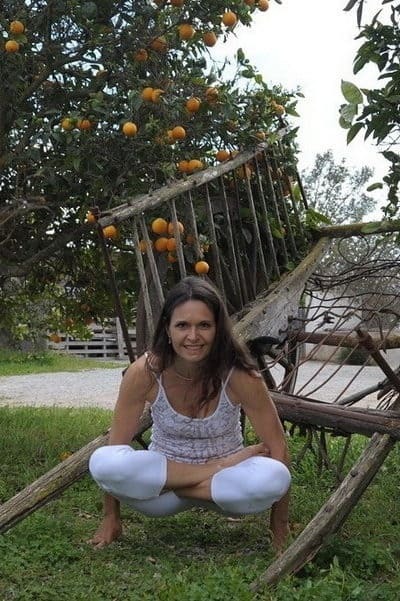 Ashtanga Vinyasa Yoga is composed of different definite series of Asanas (postures) which were created by Patthabi Jois. We practice the primary & second series. 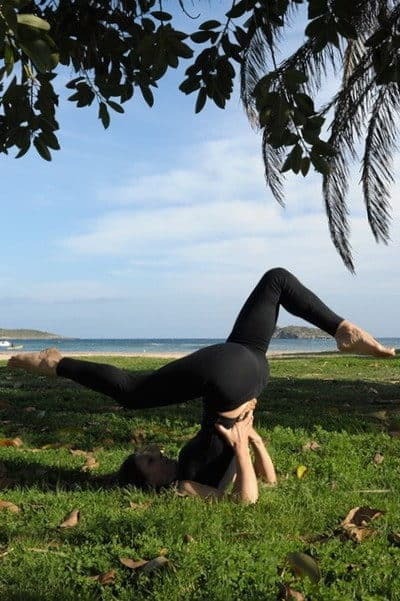 The sequences are guided by a dynamic Udjai breath and connected with the constant use of the Bandhas (energy locks): Moola Bandha and Udyana Bandha. A good physical condition is preferable to start, but adaptations can be made to ease the series for beginners. Always ending with a 10 mn of total relaxation of the body, leading to the complete release of muscles, skin and nervous system where the body is completely passive but where the mind stays alert and present. A state of interior calm and peace is achieved, and an access to your inner space becomes possible. At your place, you can get a private Astanga Vinyasa Yoga class, which will focus on your individual needs, respecting your injuries, according to your personal physical background. Hatha Yoga is a soft form of Yoga composed of simple postures, practiced at a slow rhythm. 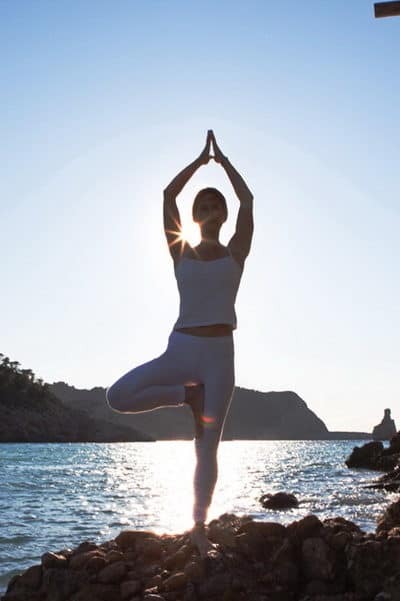 Hatha Yoga is a soft form of Yoga, indicated for people of all ages, and all physical condition, that is concerned about working on their flexibility as well as their strength. It is composed of simple postures, done with a slow rhythm. The class starts with simple breathing exercises of Pranayama, followed by gentle Sun Salutation. Mild standing postures and sitting postures are practiced and the order and the choice of the series are always different. 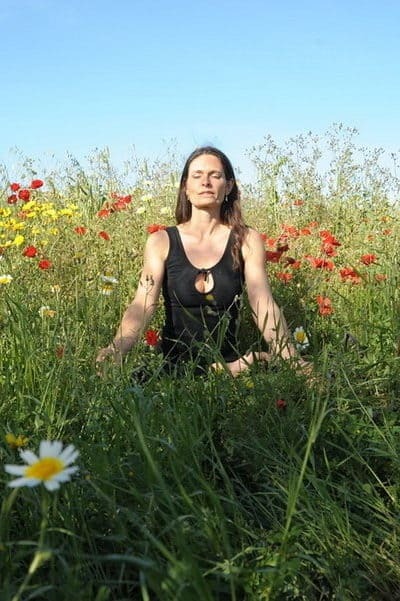 Always ending with 10 minutes of total relaxation of the body, leading to the complete release of muscles, skin and nervous system where the body is completely passive but where the mind stays alert and present. A state of interior calm and peace is achieved, and an access to your inner space becomes possible. At your place, you can get a private Hatha Yoga class, which will focus on your individual needs, respecting your injuries, according to your personal physical background. Vinyasa Flow Yoga is a dynamic and flowing yoga using free body sequencing, in movement or in stasis, following the rhythm of each breath, active and conscious. 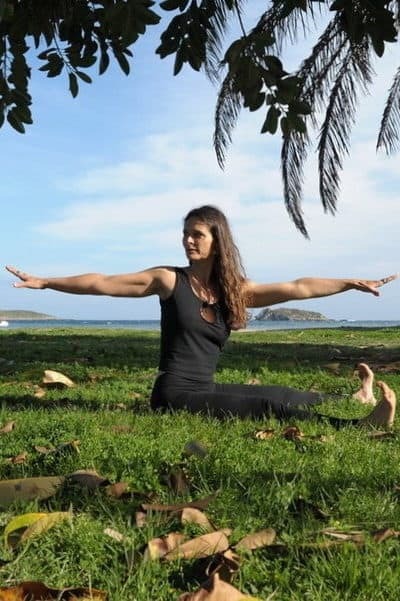 Vinyasa Yoga is a dynamic and flowing yoga using free body sequencing, in movement or in stasis, following the rhythm of each breath, deep and conscious. This approach includes many variations of Asanas (postures). The use of different variations of postures allows the body to go deeper into the final Asana and gives a precise understanding from a new point of view. Each Vinyasa Yoga session will be different. At your place, you can get a private Vinyasa Flow Yoga class, which will focus on your individual needs, respecting your injuries, according to your personal physical background. When the Mind smiles, it becomes lighter, brighter and more spacious. And as a response, the body becomes freer and more flexible. Learn the tools of Mindfulness, a practice of joy, freedom, and ease. Experiencing the healing power of smiling and allowing your Mind to become peaceful, calm, open and expanding. By repeatedly trying to master the chaotic endless activity of the mind, it gradually becomes still, and the place is given for Meditation. At your place, you can get a private Mindfulness Meditation session, which can be completed with Pranayama, Breathing exercises. 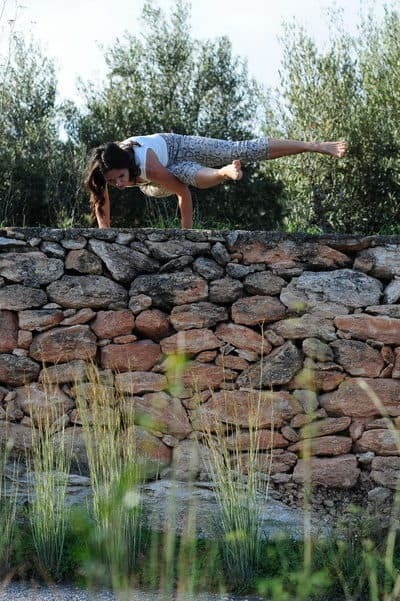 Yoga Asanas can be added if you wish to do so, with a unique approach, where you will learn to integrate the tools of Mindfulness into your Yoga practice and flow with lightness and joy. Pilates was specially created to reinforce the deep abdominal, lower back, and gluteal muscles; to strengthen the back and protect the spine. With the control of the central muscles of the body, a strong foundation is built upon which we can rely in daily living. Pilates is composed of short series of quick and repetitive exercises always initiating from the energetic center of the body. Pilates is the perfect complement to the intense stretching of Yoga. The Pilates lesson that can also be complementary with a Yoga practice (a Yogilates class). At your place, you can book a private Pilates class, developing your personal core strength, according to your individual needs, and respect your particular injuries. Restorative Yin Yoga is a gentle form of therapeutic Yoga, composed of simple restorative postures reinvigorating and refreshing body and mind. 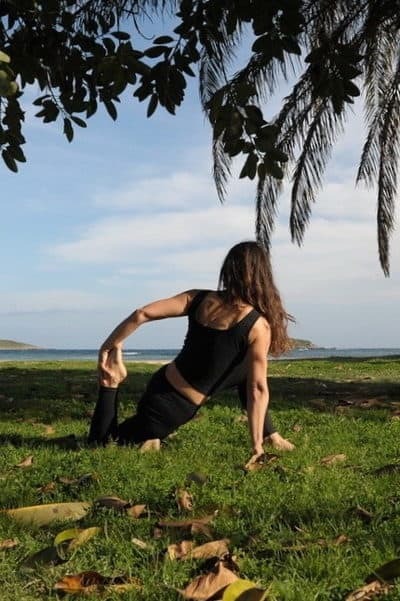 A Yin Yoga lesson puts the emphasis on holding the poses for a few minutes to work on stretching the deeper connective tissues, fascia. It also mobilizes and strengthens our joints and ligaments. Restorative Yoga is especially indicated to relieve physical problems or back pain. It is composed of simple postures, done at a slow pace. The student learns to relax, ease and soften in the poses, with full awareness of the breath and body sensations. The lesson is always ending with a 10 mn of total relaxation of the body, leading to the complete release of muscles, skin and nervous system where the body is completely passive but where the mind stays alert and present. A state of interior calm and peace is achieved, and an access to your inner space becomes possible. At your place, you can get a private Restorative Yoga class, which will focus on your individual needs, respecting your injuries, according to your personal physical background. Yogilates is a modern form of fitness training that combines exercises from pilates with yoga postures and movements. It combines the benefits of both practices. Yogilates is a holistic practice which brings in connection mind, body and breath. It improves overall health by purifying the body. The physical asana practice will help improve flexibility, breathing capacity and building strength through movement. It will also help with balance and concentration. While Pilates exercises will help build a strong core and prepare the body effectively to perform and hold the yoga postures safely. The Pilates exercises also help to build strength for yoga transitions. It gives the stability that will allow flowing with ease. Typically, Yogilates classes will be structured like many yoga classes. They begin with a warmup, with gentler floor-based movements, including mat Pilates exercises, progressing into strength and stretching work, and then more challenging standing postures and flow. They may incorporate meditation if required. At your place, you can get a private Yogilates class, which will focus on your individual needs, respecting your injuries, according to your personal physical background.